One of life’s greatest joys is getting a new puppy. Another great joy is when you get a second puppy. However, introducing a new puppy to the household, especially to your existing pup, can be a lot harder than you think. Although you may be doing it to keep them company while you’re at work, if done incorrectly, there can be total chaos and resentment. When you think about it, you’re basically bringing a complete stranger in to your existing pets home and making them share everything, sleep together and fight for your attention. This is why so many dogs feel some sort of resentment to the new pup if they are introduced to one another if the wrong way. Resentment is not the only thing that can come from an improper introduction. Over time problems can arise that range from depression for the existing pet to anti-social behaviour that could lead to fights and injuries. No matter how friendly your pet is, there are always steps that you can take to make the introduction go smoother and cause less problems down the road. Petplan have put together some tips and tricks for when you need to introduce a new pet to your existing pet. It is important to get your existing dog familiar with the smell of the new dog by introducing a towel or stuffed animal that somewhat resembles the newcomer. Rub the dog gently and thoroughly with the towel/stuffed animal before they come home and give it to your existing dog to examine it and become familiar with the scent. If there are any negative reactions to these items they should be turned in to a positive to allow them to associate this smell with positive reinforcements – hugs, pats, treats etc. 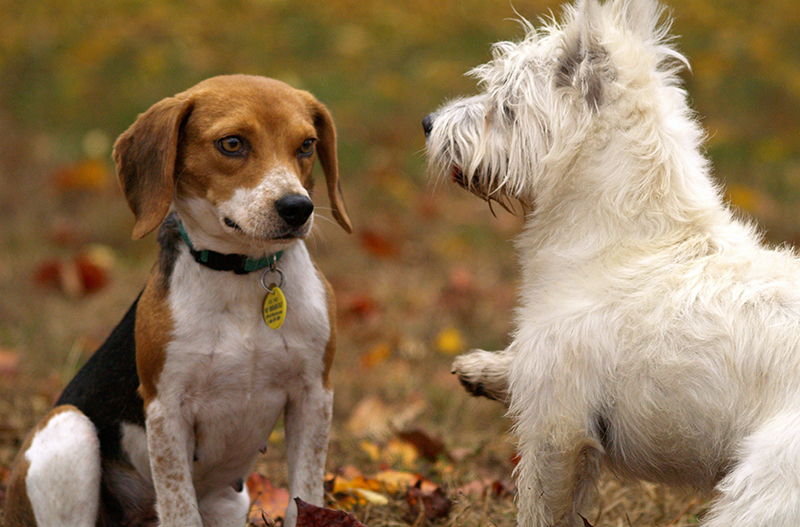 The first meeting of your 2 dogs should be done on neutral ground at a friend’s house or at the park so there is no territorial or aggressive behaviour shown towards either dog. The best way to do this is to get someone to take your existing dog for a walk while your new dog investigates his new home – allowing him to pick up the other dogs scent without the added stress. 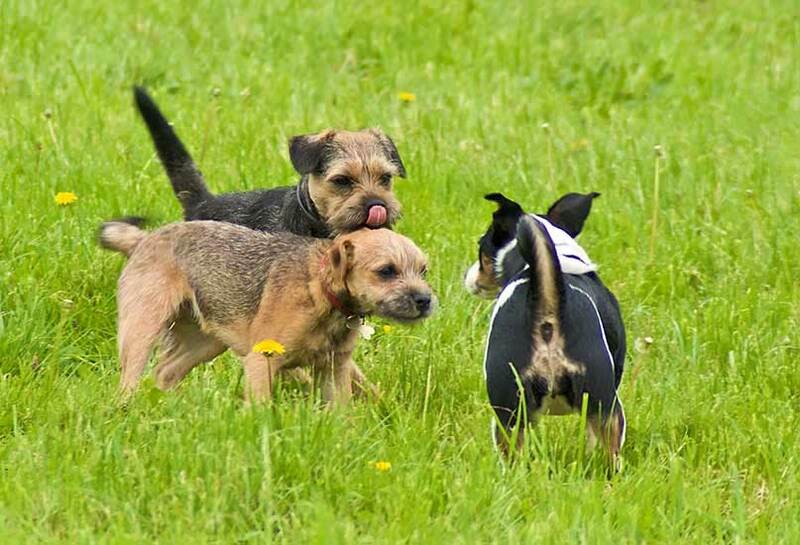 Once he is familiarised, take the new dog to meet your other dog at a neutral spot. 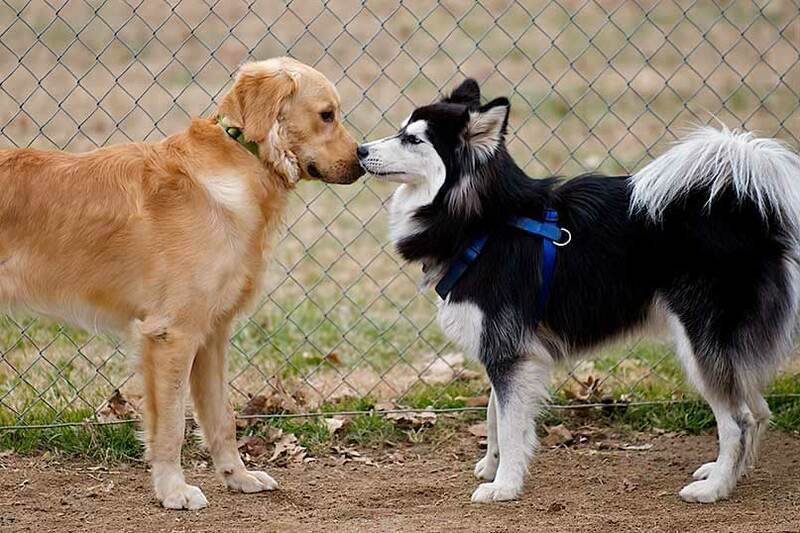 Be sure that the introduction of both animals is controlled with either a separation between the two (a wire fence or gate) or that they are leashed and able to be restrained with any signs of aggression. A good tip is to have treats ready to reinforce good behaviour and allow them to associate one another with rewards. Allow the two to get to know each other for a while and be comfortable in each other’s company. After they have acquainted themselves with one another, it is time to take them home. For a start, be sure to remove all toys and other items that the 2 could possibly fight over and feed them in separate rooms. As they begin to know each other better and are no longer competing for your love, you can bring their toys back and feed them together. However, it is imperative to supply numerous toys to decrease the chance of a fight as well as feed them a number of small portions to trick them in to thinking that they have plenty of food even with another body in the house. With a new dog, everyone wants to fuss over them and give them all the attention. Make sure that you give your existing dog just as much attention and affection in order to not make them feel left out and alone. If you follow these guidelines and there is still a bit of hostility, it is best to let them work it out for themselves without jumping in too soon. What may look or sound bad can just be a way of them getting to know one another – so just keep an eye on them while they familiarise themselves. Remember that introducing your new dog into the house has to be done gradually, allowing both your existing and new dog to get comfortable with one another. Dogs live as packs, so the introduction of a new member to the pack is ultimately up to the pack leader (you), however by slowly introducing the new dog, you allow for them to know the pack rules and hierarchy – leaving a greater opportunity for them to be welcomed in.